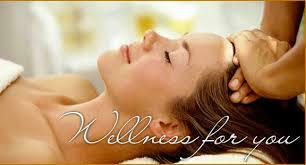 Relax and unwind with a body therapy treatment at Emer Ryan beauty & skin care. We offer a range of luxurious treatments from top to toe. Enjoy a soothing and relaxing massage, try an invigorating body exfoliation therapy treatment to smooth and resurface the skin, or experience a brisk head to toe rub down to help soften and hydrate the body, leaving the skin soft and silky smooth. Gently exfoliates skin with beta hydroxy acids, enzymes and physical exfoliants, removing dead dulling cells and polishing skin to a smooth finish. Deep self cleansing treatment for the ear. Ideal for alleviating sinus problems, stress, headaches and migraines.